Humanity's colonization into space was still young when the first Great Houses began to form. The Houses vied for control of space until the armies of Terra (Earth) conquered and unified them under the banner of the Star League. For a time, mankind began to advance beyond all expectation, achieving a golden age for human achievement. This renaissance was cut short as the Star League succumbed to treachery and corruption. As the League ripped itself apart in civil war, what remained of its considerable armies fled to deep space to forge a new destiny. The Great Houses, now left unchecked, have embroiled the Inner Sphere in constant war for centuries. Ruled over by ancient dynastic families, the Inner Sphere is divided into six Great Houses. Each House hails from a different culture in humanity's past, and carry with them their easily recognizable traditions. The invasion has galvanized the factions of the Inner Sphere into an uneasy alliance. While still technically at war with each other, the existential threat posed by the Clans is far more dire. Considered a repressive dictatorship by most, the Capellan Confederation's relatively small territory hosts the most loyal and civic minded society in the Inner Sphere. Ruled over by a Chancellor wielding absolute power, citizenship must be earned with each person evaluated to determine their contributions to the whole. House Liao can trace its traditions back to its strong Chinese and Russian influences. Much of its size has been diminished after years of successive defeats at the hands of the Federated Suns. It was this constant barrage that led the Capellans to eventually seek out alliances with their former enemies: the Free Worlds League and the Draconis Combine. Possessing one of the best trained armies in the Inner Sphere, House Kurita believes it is destined to one day rule over the other Houses, and they aggressively pursue this end. 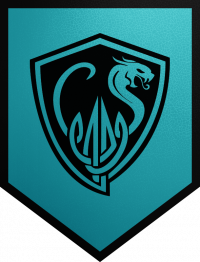 Following the ancient tenets of Bushido, Draconis Combine society follows the Five Pillars and values honor, duty and conquest above all else. 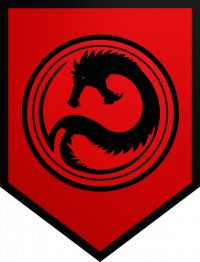 House Kurita rules their people with complete dictatorial power in the style of feudal Japan on ancient Terra. Shortly after the collapse of the Star League the Combine conquered the peaceful people of Rasalhague, leading to a long and bloody occupation. Kurita's continued hostility to its neighbors drew ire from both the Lyrans and Federated Suns, who established an alliance to combat the machinations of the advancing Draconis forces. One of the largest successor states, the Lyran Commonwealth is renowned for its unparalleled wealth, advanced industries, and complete lack of military cunning. Ostensibly a hereditary monarchy, House Steiner is largely careful to ensure the rights and freedoms of their people are upheld. It is common for nobility to be gifted high ranking posts in the military, leaving the Lyran command structure historically inept and hampering many of their intergalactic ambitions. The Lyran Commonwealth was eager to capitalize on the chaos after the fall of the Star League and began a push to capture worlds belonging to the Free Worlds League. They soon found themselves surrounded by enemies as the Draconis Combine initiated their own campaigns against the Commonwealth. It was with this in mind that Steiner and Davion would form an alliance between their two powerful Houses. The largest of the successor states, the Federated Suns is often considered the preeminent military power in the Inner Sphere. 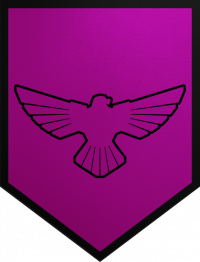 Davion society is fixated on martial prowess and has a reputation for being hawkish and bellicose. Strongly influenced by pre-first exodus Great Britain, United States, and France, it often boasts of its high minded values and civil liberties. 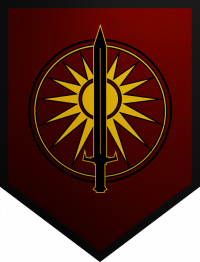 Despite these claims it is first-and-foremost a constitutional monarchy, ruled over by the Davion bloodline and various aristocrats. Much of its territorial expansion over the years have come at the expense of the Capellans, creating an ever-lasting animosity with House Liao. 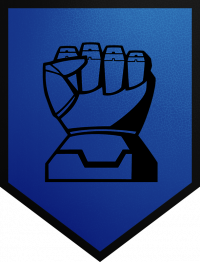 An alliance was struck with House Steiner of the Lyran Alliance in the face of similar conflicts with the Draconis Combine and Free Worlds League. The Free Worlds League has the distinction of being the oldest of the successor states. While its society is multicultural and has historically offered great autonomy to its regions it now exists in a perpetual state of martial law. Originally a loose alliance between early states of European, American, and Indian roots, the League functions as a representative democracy ruled by a parliament. Despite the democratic nature of the government House Marik still wields supreme control over the armed forces and maintains the final word on most issues. 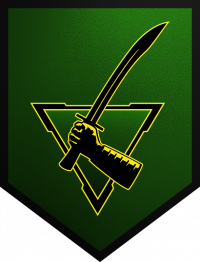 House Marik was at war with Steiner almost immediately after the fall of the Star League, and continued throughout the wars of succession that followed. Once House Steiner and Davion had declared their alliance the Free Worlds League turned to Kurita and Liao for support, re-balancing the forces of the Inner Sphere. The youngest among the successor states, the Free Rasalhague Republic's ultimate goal is simply to survive as a nation amongst the larger warlike Great Houses around them. The FRR is not ruled by a noble House, and is one of a few true democratic states in the Inner Sphere. Due to Rasalhague's location between the Great Houses Steiner and Kurita its Scandinavian background is now intertwined with those two nations. Once an early interplanetary state, Rasalhague was completely absorbed into the Draconis Combine during an invasion centuries ago. Its sovereignty was only recently granted by an agreement between Great Houses Steiner and Kurita. Each ceded control of several planets to Rasalhague, who now act as a buffer state and remain neutral to both parties. This page was last edited on 10 June 2018, at 23:46.